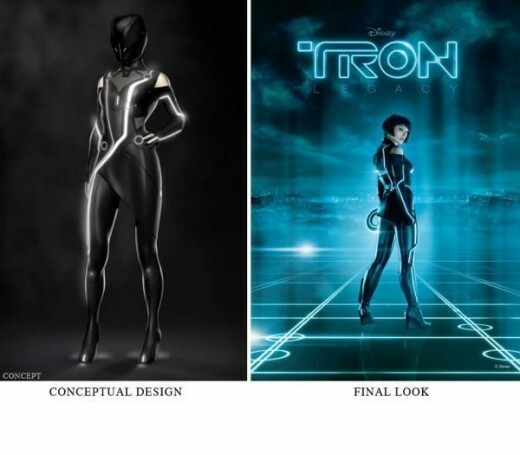 The coolest costume concept this year by far is Tron. Whether it’s Sam Flynn, Quorra, the ISO’s or the best cameo of the show, Daft Punk, making a Glowing Tron Style Costume is not very difficult. The hardest part is figuring out how to make it glow. For more of this life changing information, keep reading. Electroluminescent Tape (or EL Tape for short), is what was used in the movie Tron, as it is a thin sheet of Electroluminescent material with an adhesive backing that glows when there is a charge applied to it. This charge comes from small battery packs that excite the elements inside the tape, which gives us the magical glow that we came to love in the movie’s costumes. There was no CGI or additional animation effects needed to make these costumes glow. So get to it then, where do I find it and how does it work! Electric Optics EL Tape can be found exclusively at Ellumiglow.com and is sold not only in strands, but also various shapes, like circles. This is especially helpful when trying to make an authentic costume like in the movie. For information on how to put it together, visit this great how-to guide, Tron DIY Costume. The circles and strands can be joined together to easily combine into one small battery pack, easily concealable. Good luck with your costumes and check back for more innovative product ideas.